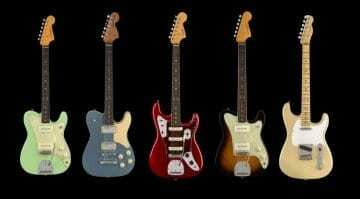 Fender’s new Player Series has just been announced, and it includes some old familiar favourites amongst the various models for 2018 like the Stratocaster, Jaguar, Telecaster and the Precision Bass. 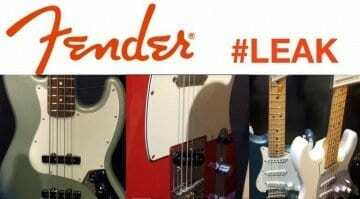 Unfortunately for Fender, we have seen them all already, with US dealers offering these models weeks ahead of the official launch. 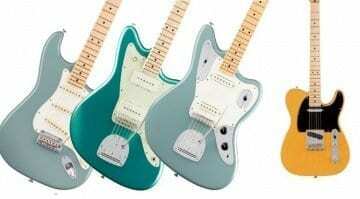 This might just be the worst-kept secret of the guitar world in 2018: The new Mexican-made Fender Player Series is a revamp of the whole Fender Standard line-up, with some tweaks and a new, updated Jaguar model. I’m sure you have already seen them all, so this is just a quick overview of the whole range, which has already been heatedly discussed on many guitar forums across the world! 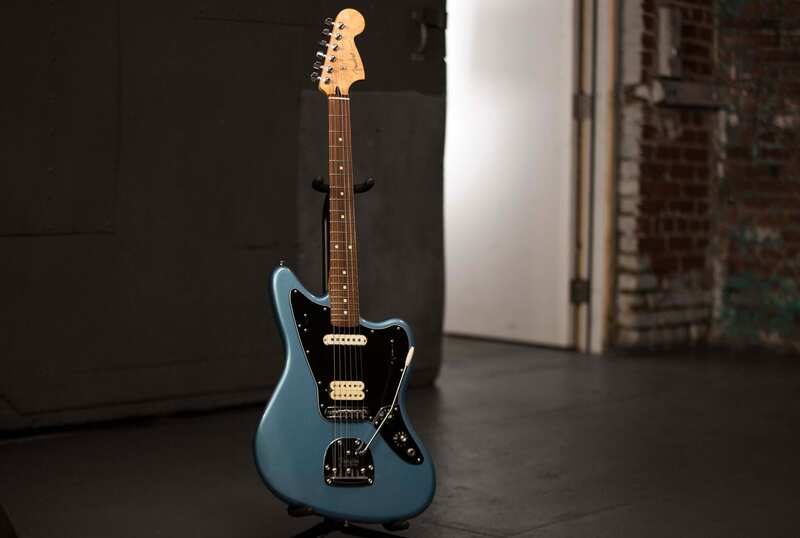 The Player Series models include some upgraded specifications, including new Fender Alnico pickups across the range, an updated body radius for added comfort, 22-fret necks with either maple or Pau Ferro fretboards and upgraded bridge hardware. The latter which includes the non-traditional two-point trem system on the Stratocasters, which I know many players will not like at all, as many prefer the six-screw traditional bridge. 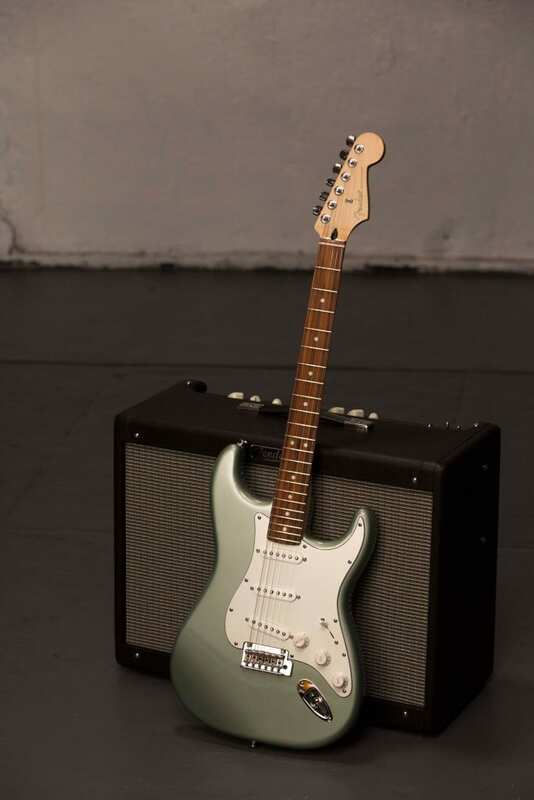 We also get some new colours including Sage Green, Polar White, Tide Pool, Butter Cream, and Sonic Red, plus the older style ‘classic’ Fender logo on the headstock. 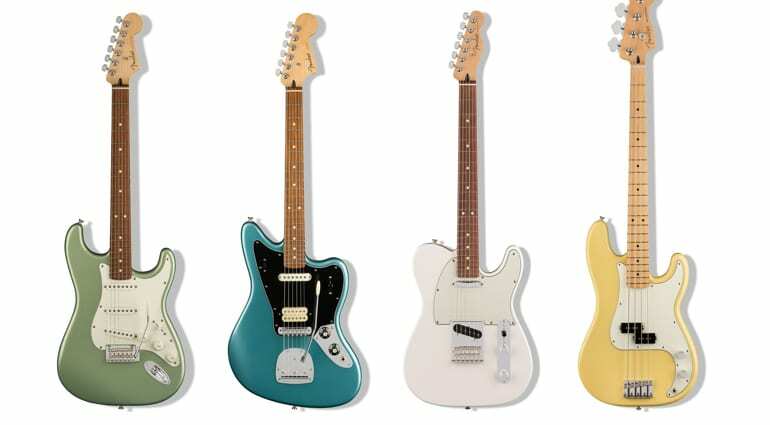 This new lineup consists of some pretty familiar models: the Stratocaster, Telecaster plus a Jazz and a P-Bass. But then there is a new take on the classic ‘offset’ Jaguar (the one we all saw last week for sale in Sam Ash stores) which has been pared down somewhat in the control section department and now includes a bridge humbucker! Purists will be up in arms, no doubt, but it makes some sense if you are a working musician that needs a good workhorse guitar. The general consensus on many guitar forums like The Fretboard is that this re-branding of a range adds nothing particularly special, just makes the price higher and could perhaps have been a bit more exciting. Personally, I mostly agree that this is a bit of a renaming exercise. I think I’ll probably avoid most of these new models, but only because they don’t offer anything ground-breaking. 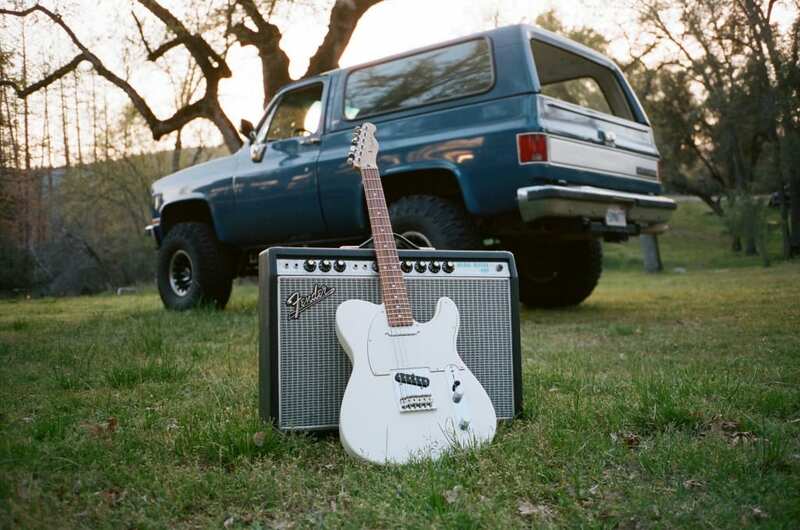 I would probably buy the older version if I was in the market for a Mexican-made Fender. 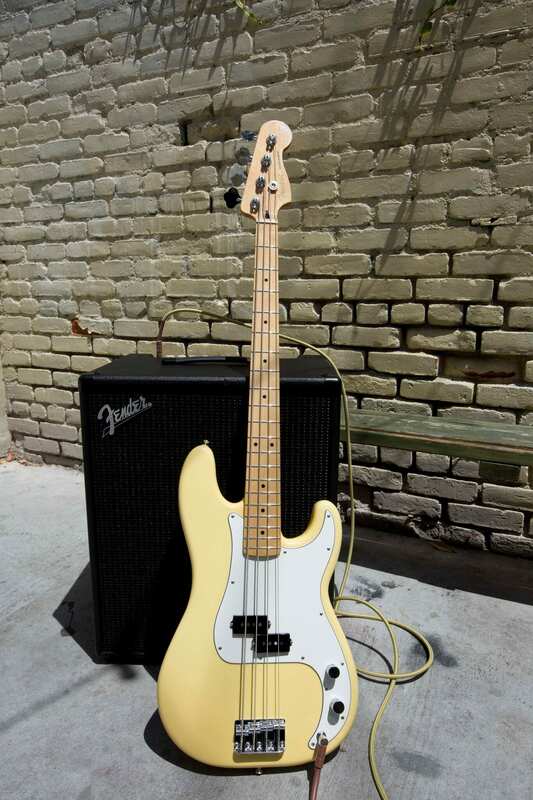 Fender Player Series now all leaked via social media! Yeah. Chinese pots, sharp fret ends, bad string slots-that doesn’t sound very good to say the least. I played a new Player Series Strat and bass for two days straight while demonstrating amps at a dealer event this weekend. I was blown away by the quality as were my coworkers. Definitely not a renaming exercise to raise the price. These guitars are a vast improvement in quality, fit and finish, playability and tone over the Standard Series. I found the MIM guitars severely lacking when compared to USA made guitars. These new instruments are very close in quality to their USA counterparts. The new version is obviously better. All the changes made were the reason I never bought a Mexican strat. Now I will definately been a Mexican strat guy because of the price. What a terrible review! If you can’t see the difference in tech upgrade alone on the “Player”, then it is just a case of “haters gonna hate”. I never write reviews. I’m purely about news (hint, the clue is in the site name). Just because I find these a bit lacklustre and meh, doesn’t mean you can’t enjoy one. I’m just a cynical old Fender player, that has seen more re-hashes of the same guitars and so I find it all a bit dull. It is your money, buy whatever makes you happy, I’ll still be an opinionated writer though.